I am so sorry to be away from this blog of mine for about two and a half years. No less. My apologies to my subscribers and followers who expect posts on how we apply a knowledge of Ayurveda to keep a few common ailments at bay, or to improve our health through simple home remedies. The lost time has been quite eventful, life changes a lot in a couple of years and it has certainly been so for me. I hope you all are in good health and high spirits. We shall keep meeting frequently now. Jokes apart, re-energising this blog would be an achievement of the weekend for me. Here is a recipe to re-energise your skin and body as well. Have you heard about 'Ubtans' or freshly made scrubs used not so long ago by grandmothers to keep their skin glowing? Those were the days when no fancy skin care products were flooded on the shelves and people used to depend on the good old wisdom of eating healthy and using natural remedies for skin and hair. You must have seen many grandmothers with glowing skin. Botox be doomed. We earn our wrinkles, the skin can be kept perfectly supple using some readily available goodness in the herbs and seeds. For exfoliation, tan removal and to improve circulation in the skin, this Ubtan I am suggesting, works like a charm. Massaging the ubtan on the whole body just before bath improves the circulation of the whole body as you rub and scrub the skin on your limbs, back, face and all over the body. Mustrad seeds are natural circulation boosters and both the nuts are great for skin. Boil the yellow mustard seeds first with just enough water to soak them completely. I cooked them in Microwave for 2 minutes, covered. let them cool. 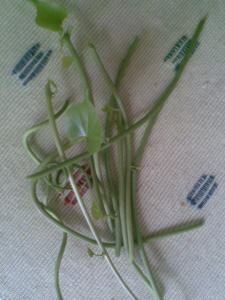 In the meanwhile pluck the bunch of florets from the marigold, separating the green stalk from all the yellow petals. Then chop off the black colored needle shaped bases of the petals, retaining only the yellow parts. Now liquidise everything together to make a paste. For very oily skin you can use lemon juice (1 tbsp) and a little water to make the paste in mixie. For combination skin yogurt is very good. If you have a dry skin, milk or even fresh cream will be great. 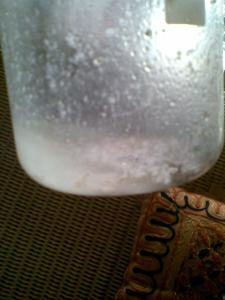 The paste looks like this and refrigerates well for 2 weeks. 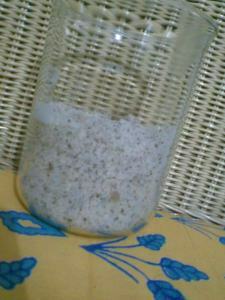 To apply this Ubtan , take spoonfuls into your fingers and rub all over your body, on the face, arms and legs one by one. Massage well into the skin, it dries when rubbed into the skin and then comes off like husky flakes along with the dead skin. Leaving your skin refreshed and exfoliated gently. Wash or bathe yourself with warm water after this. If not during a bath, all the open parts or arms and legs and face can be exfoliated using this Ubtan as these parts are exposed more to sun and pollution. I am sure it would work well for you.... let me know if you like it. Hope to see you soon with a new post. Coconut oil has been a controversial topic amongst nutritionists the world over , about the cholesterol increasing effects....a blogger friend, Lori has posted a very informative article in the past which may be of interest for many of you, see the post here......also,i would like to believe the claims made by the coconut board of India about the oil being beneficial in this regard.........i am not adding any information of the oil having medium chain fatty acid n hence being different from the saturated fatty acids...as you will get all i want to convey on Lori's post. It is a good way to protect your skin n hair form UV radiation ( sun exposure) as it works like a sunscreen , incidentally almond oil and sesame oils are good as a sunscreen base too...also, in a case of sunburn, coconut oil mixed with fresh aloe vera juice is a good ointment for quick relief. Mixed with lemon juice, coconut oil makes a good lotion for winters for use all over the body....it is best to apply this lotion just after a warm bath , on a wet body and then tap dry with soft towel , there is no need to use any body lotion or moisturizer after this , though a hand cream or lotion may be needed afterwords as hands are washed many times during the day.. 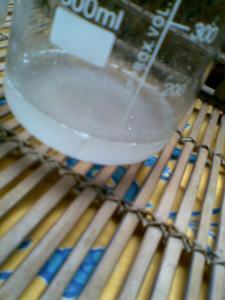 Pure coconut oil or coconut cream are very good as a lip balm , you can add rose oil or pure vanilla to it for a lip smacking experience..
As a prewash hair conditioner , warm coconut oil can be massaged into hair followed by a hot towel treatment (sauna for the scalp) for 10 minutes.....this is a tried and tested remedy for falling hair..
Coconut oil is a good makeup remover , a damp cotton wool ball dipped into this oil is far better than the solvent type makeup removers , it is safe for removing the eye make up too....try it and you will be hooked to it forever. 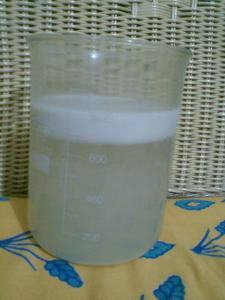 poured 300 ml hot water, ( hot to touch but not boiling 60-70 degree C ) over it.........waited for 10 minutes so that the oil comes into the water and poured it through a metal sieve lined with muslin . 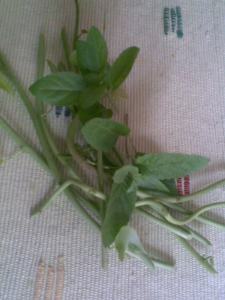 according to baba ramdev , the extract of giloy with tulsi is capable to prevent you from swine flu......you need to boil a foot long stem piece of giloy with around 10 leaves of Tulsi in 250 ml of water and reduce till 3/4 quantity ...cool and drink first thing in the morning. and here is the giloy and tulsi decoction ready as a drink...has a mild tulsi taste and can be consumed without seasoning....you can season if needed..
there are many more yoga practices like neti and snehan etc. which should be done under supervision and this blog is not an appropriate place to suggest it. amrita or giloy is anti periodic , antipyretic, alterative, diuretic and anti inflamatory in nature and is used for the treatment of fever, urinary disorders, dyspepsia, general debility, and urinary infections. 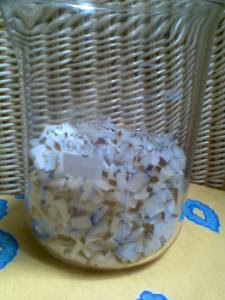 it is very useful in the treatment of rheumatism and jaundice. there is no dearth of research in Ayurveda and more is going on but the practice of Ayurveda is so ancient that it has impregnated into the belief system of a common Indian man , but still for common illness we rely upon the herbs but whenever there is an acute problem , we tend to go with the modern medicine.....which is not bad at all.... but i believe that the modern medicine is better advertised and has a better presence everywhere....and these are the reasons why the common man goes with the modern medicine......if my migraine cannot be treated completely by the modern medicine but it can be managed with Ayurveda as good as with modern medicine, then i would always go with Ayurveda , reason being, it is holistic way of healing and not just a symptomatic treatment ....tell me if you believe in it..
it's principal constituents are tinosporine , tinosporide , tinosporaside , cordifolide , cordifol , heptacosanol and tinosporidine ...all of these are effective in removing body toxins and improving immune system. giloy satva is considered to be a good remedy of headaches ( along with triphala churna) caused due to dosha imbalance.... giloy satva is a solid powdery substance which is a water soluble extract of the stems of giloy....giloy juice is considered to be clearing some nervous toxins which in turn helps in brain function , that might be helping in management of headaches too..
giloy juice taken with neem , haldi and amla is effective in treatment of skin affections.....the most annoying types of eczema , lichens planus and other infections can be treated with this ( point to be noted is that long standing affections take more time to be cured).....the juice is considered a good blood purifier and hence useful in skin affections. 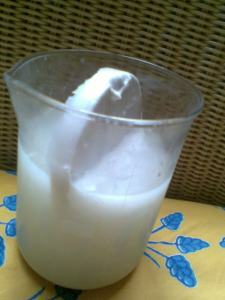 giloy juice with buttermilk is beneficial in treatment of piles and fissures....other dietary restrictions should be followed alongside. the root and bark juice taken with whey helps in curing asthma and other respiratory ailments. stem decoction is considered good for improving the quality of breast milk in lactating mothers. the fresh juice of stem ( a foot long stem crushed and juiced) taken daily first thing in the morning is useful in controling blood sugar...( dietary restrictions not to be forgotten). excessive menstrual bleeding can be controlled by fresh juice too......to be taken twice a day ..till condition improves. 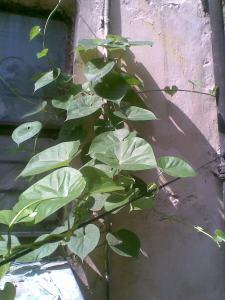 warm decoction of stem with pippali ( piper longum) and honey is good for fevers cause by infections in the body. 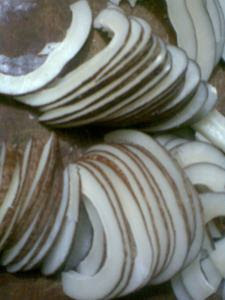 for indigestion , the juice of stem with honey or leaf paste mixed with buttermilk and seasoned with black salt and roasted cumin powder are very effective..
since the stem decoction is considered anti inflammatory and diuretic , it helps in urinary tract infections....addition of fennel seeds and palm candy to the decoction is useful. Aloe Vera, or Ghrit Kumari in Sanskrit, is a member of the lily family and is very cactus-like in its characteristics. It is one to two feet tall; and its leaves are succulent, broad at the base and pointed at the tips, with spines along the edges. 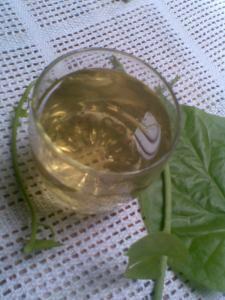 These fat leaves contain the clear healing gel that is 96% water. The other four percent contains 75 known substances including Vitamins A, B, C, E, calcium, amino acids for protein building, and enzymes used in the digestive system. The healing effect of aloe results from its ability to prevent injury to epithelial tissues, and promote healing of injured tissues. An epithelium is a layer of cells that covers the body. Our largest epithelium is the skin and one of the main applications of aloe vera is to soothe a variety of skin ailments such as mild cuts, insect stings, bruises, poison ivy and eczema. 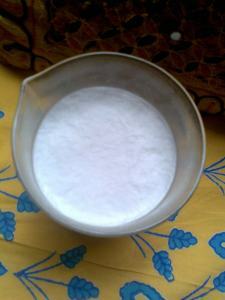 It also has antibacterial and antifungal qualities, and increases blood flow to wounded areas. In addition, aloe vera stimulates fibroblasts, the skin cells responsible for wound healing and the manufacture of collagen, the protein that controls the aging process of the skin and wrinkling. The skin absorbs aloe vera up to four times faster than water; it appears to help the pores of the skin open and receive the moisture and nutrients of the plant. For balancing digestion and detoxification: take 1 tbsp of aloe vera gel empty stomach every morning, it also improves the functioning of the kidneys, liver and gall bladder....the gel acts as an anti inflammatory agent because the fatty acids in it alkalize the digestive juices and soothe the stomach, intestines and colon. good for skin : by detoxification of the system it allows the skin to be glowing and soft when taken internally. 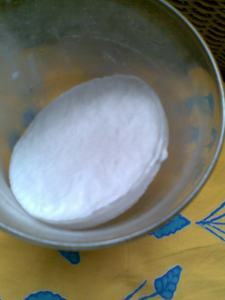 also it acts as a good moisturizer when applied locally, cures sunburns and tightens pores as well. when applied on the scalp it cures mild infections of the scalp and ingestion of aloe gel improves the quality of hair by detoxifying the body. the juice of aloe makes the hair shiny and acts as a fluffing agent when your hair feels limp and flat..just apply the juice by holding the split open leaf wrapped in a muslin throughout the length of hair, let dry and comb......see how it works. Aloe Vera helps accelerate healing of Diabetic wounds. It dramatically lessens inflammation and improve pain response. good anti aging agent : Aloe vera is one of the most potent antioxidants found naturally , it is an only known natural source of Vit E, C and B-12 .......when taken internally aloe helps in getting rid of free radicals from the body and promotes our immune system. good remedy for arthritis : aloe gel and juice is good for arthritis patients , it strengthens the muscles and ligaments and regenerates cartilage , the amino acids phenylalnine, proline, cystiene, valine and boron found in aloe is helpful in maintaining the skeletal system , improving bone health , cartilage healing and metabolizing calcium , phosphorus and magnesium.....not to mention, aloe is naturally rich in calcium and helps in better absorbtion of calcium as well.......it works especially well when taken along with the haldi, methi, sonth powder which i have posted earlier on this blog. good remedy for migraine : i personally use it in migraine ...just keep the fleshy leaves in your fridge all the time, when the pain starts , split open the leaves to expose the juicy flesh and rub over the aching parts of head or over the whole forehead, scalp, eyes and even on the nape of the neck.....it works best when the pain is just starting......later on , you may need 2-3 applications of the juice to get relief. 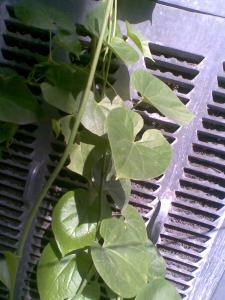 the leaf can be kept in fridge for a week and the separated gel keeps well for 2 days in the fridge. recently i experimented with a few more recipes of amla chutny and they were superhit......appreciated by everybody. one of the chutnys i made was using preserved amla , as i have posted earlier,amla preserved with 15% salt is ground with equal amounts of garlic pods and dry whole red chillies......no additional salt is required and the chutny can be kept on room temperature if 2% vinegar is added to it...............it is so tasty you'd want to eat it with each n everything. 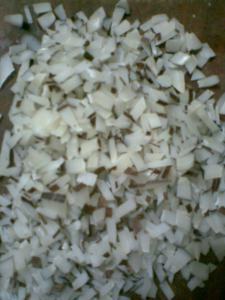 deseed the amla and grind the amla and coconut first in the grinder cuz it is a bit difficult to grind them fine with other ingredients.........add all the other things and make a fine paste and serve with or without a tempering. for tempering heat 1 tsp of oil with a pinch of hing , 1 tsp of mustard seeds and a red whole chilly and put over the chutny and serve.